The world will again fall short of a full climate deal this year, after two past attempts, say developed countries which want a narrower focus on forests and funds at resumed UN talks in Germany next week. A fresh postponement will all but end hopes of a binding UN deal to succeed the Kyoto Protocol before its present round expires at the end of 2012, leaving a legal gap and possible makeshift arrangements for years. A summit in Copenhagen two years ago was blown off course by world recession and political wrangling. Hopes are now dimmed for a conference in Durban, South Africa later this year. 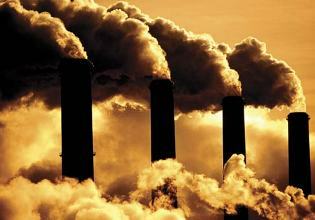 Developing countries want to extend Kyoto, which binds only rich countries to cut greenhouse gas emissions until 2012. But Japan, Russia and Canada reject that, preferring a new, wider deal in a rich-poor deadlock which echoes world trade talks. “In Durban it’s almost impossible to see a legally binding agreement, if we take into consideration the positions of many countries including the United States and China,” said Akira Yamada, who will head Japan’s delegation at the next round of talks at a two-week meeting in Bonn, Germany, from June 6-17. China and the United States are the world’s top two carbon emitters, but Kyoto does not bind China’s soaring emissions and the United States was the only industrialised country not to ratify the pact. The United States has demanded “legal symmetry” in a new deal, under which climate targets for China would have equal force to any commitments by the rich. China says its priority must be to grow its economy to end poverty. Many developing nations say an extension of Kyoto is vital. “The Kyoto Protocol is an essential element of any comprehensive strategy to address climate change and also a key to maintaining trust between developed and developing countries,” said Colin Beck, representing the Solomon Islands. Top climate officials in the European Union and the United States have already said a full deal this year was beyond reach. A possible compromise could see countries in Durban harden existing voluntary emissions pledges after 2012, for example by attaching a formal time schedule to these in a stop-gap deal falling short of a new protocol, say negotiators. Without a full deal, there was still much to agree this year, for example on how to raise $100 billion in climate aid annually by 2020, share low-carbon technologies, increase inspection of national action and curb deforestation, said the EU’s chief negotiator Artur Runge-Metzger. Countries agreed those steps in principle at a ministerial conference in Mexico at the end of last year. “We would like a practical, pragmatic discussion in Bonn,” said Japan’s Yamada. “There is a lot that can be done in the meantime (without a deal),” said Elliot Diringer, vice president of international strategies at the Pew Center on Global Climate Change. Efforts are meant to help shift from fossil fuels towards low-carbon technologies to help avert what the UN panel of climate scientists says will be ever more droughts, floods and rising sea levels. But developing countries also want discussion on the most contentious issue, an extended Kyoto Protocol, left unclear in Mexico. There was also a stalemate at the most recent talks in Bangkok in April. HSBC climate analyst Nick Robins said an old strategy based on driving through binding emissions targets with carbon markets was “broken”, expecting instead a deal around 2014 or 2015 with extra steps to shape a greener world economy, for example by imposing global standards on vehicle efficiency. That may build on other multilateral processes such as clean energy meetings hosted by U.S. Energy Secretary Steven Chu, or a U.N. push on sustainable development, with the climate talks focused on practical oversight of public finance and targets.